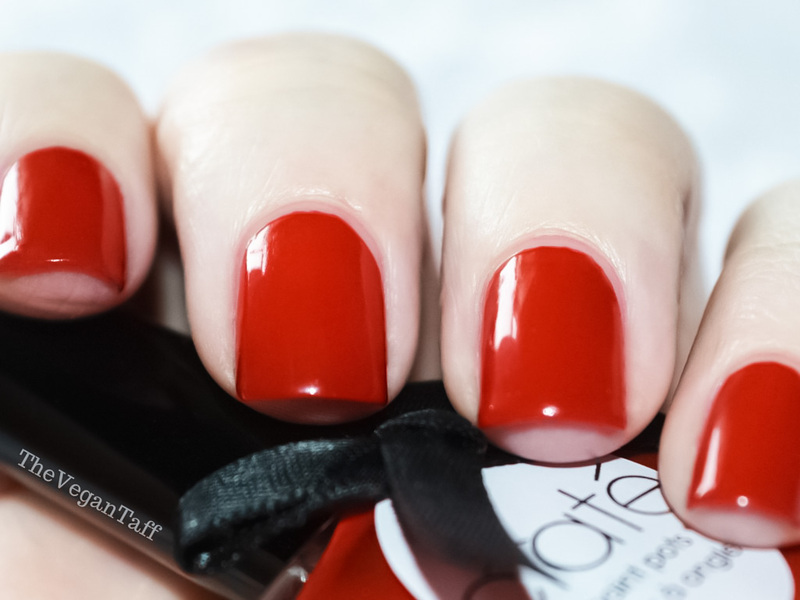 As you can see, Boudoir is a perfect Santa red créme polish that is just perfect for the festive period. It would make a gorgeous Christmas party manicure paired with a gold glitter accent too. As per usual, Ciaté have nailed the formula of this polish; It's neither too runny or too thick, dries relatively quickly and leaves a lovely shine. I'm not wearing top coat in the above photo and look how smooth and glossy it is. It only takes two coats to be completely opaque, but if you're in a hurry you could certainly get away with one, it just wouldn't be quite as deep of a red. I've had this polish on my nails for the better part of a week now (last week's was so ugly that I couldn't wait to get it off) and it's held up exceptionally well. There is some tip wear on two nails on my right hand, but other than that it still looks really good. If you're after a great red for the holidays, parties or, as the name suggest, the boudoir, you could do a lot worse than giving this a try. Ciaté Paint Pot in Boudoir is available online for £9. This is going to be my last post before Christmas, as I really need some time off. My Mani Monday posts will always go up if I possibly can, but there won't be a Wednesday or Friday post until the new year now. Whether you celebrate Christmas or any of the other wonderful traditions, I hope you have a fantastic holiday season.